1) Which customers are frequent visitors and have the greatest repeat business? 2) Which ones rarely do business with your company? 3) Which ones are the most valuable and profitable to your company? 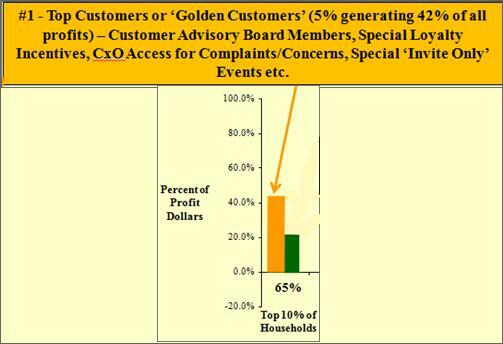 When I presented this customer profitability analysis to the bank, the bank executives were amazed at the results and of the customer profitability distribution. (Note – The deciles were developed using a SAS generated RFM analytics model whereby Recency (How recent customer have visited/purchased), Frequency (How frequently customers have visited/purchased and when they visited/purchased) and Monetary spend (How much they spend and on what types of products/services they spent their $$ on). The RFM model was then used as input into a profitability model, using actual profit data for each product/service/customer using a unique customer id to match the profit data to the RFM score. )Why are these insights and analytics so important and what might the bank or any other business do to manage customer relationships more effectively? These insights are key in developing a customer relationship management (CRM) and loyalty program that is tailored and specific to each customer group. Note: The 80/20 rule applies to companies that have higher transaction volumes, a diverse set of product & services and a heterogeneous customer base. Should your company treat your best and most profitable customers differently than other, less profitable customers? 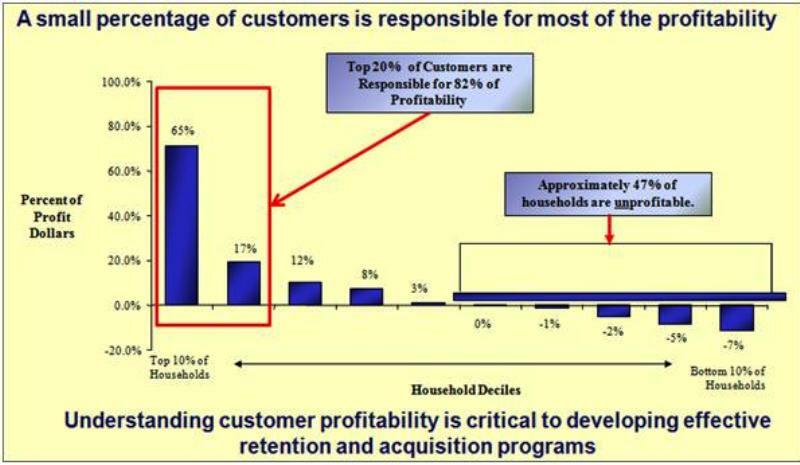 Should your company develop special customer programs so that the 20% most profitable customers are not lured away by competitors? Do you think your company’s most profitable and valuable customers want to be shown appreciation for their repeat and profitable business in a way that makes them feel welcome and special? Is it in your company’s best interest to want to develop strategies and programs that turn unprofitable customers into profitable or at least revenue neutral customers? The answer to all four questions should be a resounding YES! 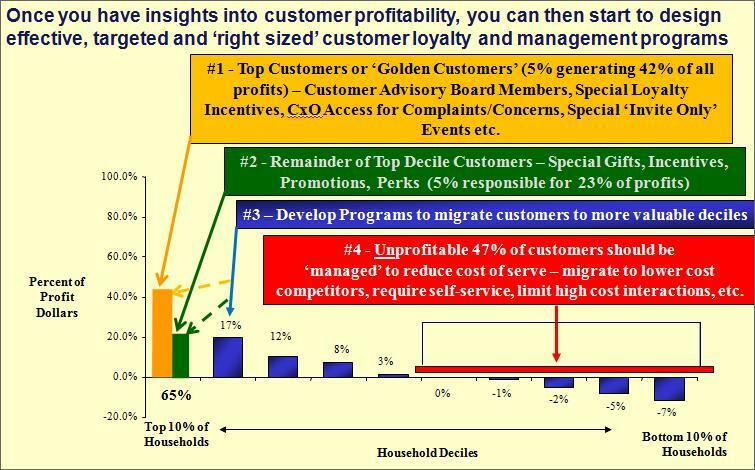 Develop unprofitable customer management programs such that these customers become more profitable, cost less per company transaction and/or they are effectively ‘encouraged’ to migrate to competitors. 3) There should be prestige and/or notoriety associated with achievement of the next loyalty rewards level so that customers feel privileged, special and differentiated from regular customers. Develop a loyalty migration path for customers to want to achieve the next loyalty rewards level (Silver, Gold, and Platinum) so that they simultaneously feel more recognized/special/connected to the company while providing your company great value/profits/monetary return.